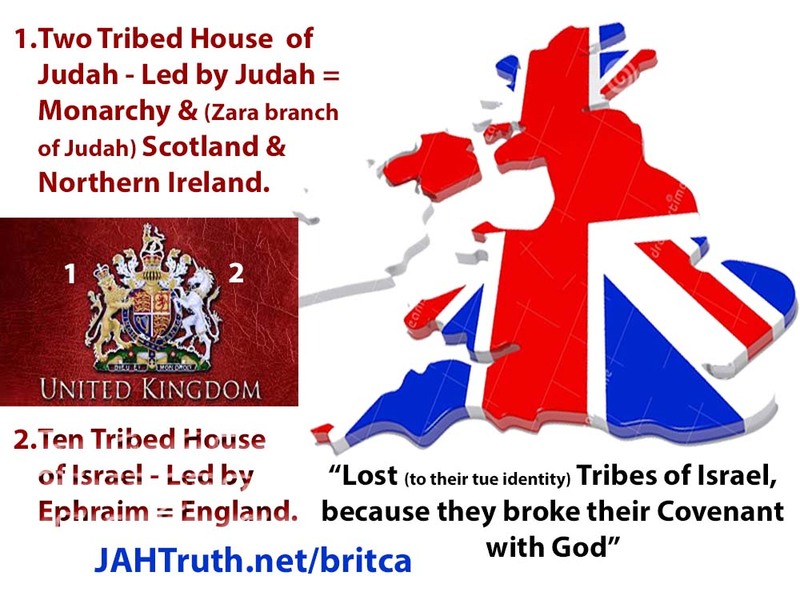 The royal line of king David is the British monarchy, represented by the Lion; them being of the tribe of Judah from both branches; Zarah and Pharez, while the Scots and Northern Irish are descendents of the Zarah branch of Judah. The commonwealth, current and former, plus some other territories represent the remaining tribes of (true) Israel. Jacob’s name was changed to Israel, which means champion of God. The descendents of Judah/Pharez stayed mostly in Palestine (< 3% of the Israeli population) and in some other places. The remaining population of the current State of Israel together with (counterfeit) Jews worldwide, are a minority of Edomites (descendents of Esau) and mostly Ashkenazis +-95% (descendents of Japheth, the brother of Shem/S(h)emites), who are all the Jews of Revelation 2:9 & 3:9 who lie about their true identity, and who had Jesus crucified. 2:9 Revelation I know thy works, and tribulation, and poverty, (but thou art rich) and [I know] the blasphemy of them which say they are Jews, and are NOT, but [are] (Idumeans) the synagogue of Satan. Further demonstrated by the fact that Christ would reappear in the tribe of Joseph/Emphraim at His Second Coming; not Judah. Genesis 49:10 The sceptre (sovereignty) shall not depart from Judah [to Joseph], nor a law-giver from between his feet, UNTIL Shiloh (Christ) comes [from Joseph-Ephraim v 22-24]; and unto him [shall] the gathering (Union) of the people (of Jack-ob/Israel) [be].